Happy holidays, fellow beekeepers, readers, and honey lovers! Thank you for reading, commenting, and sharing your experiences here on my site. Here’s to 2012 supporting healthy hives full of rich floral honey to share with friends, family and the peanut butter-honey sandwich eaters in your life. My niece Ella sends her thanks. 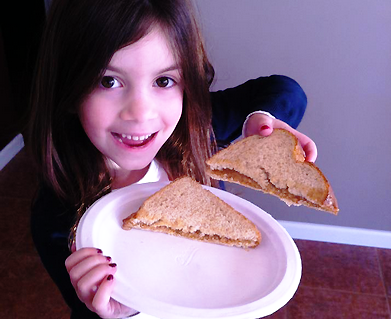 Ella making peanut butter-honey sandwiches with "Aunt Coco" honey.